Today we had about four inches of snow. It won’t last, as it’s going to rain tomorrow, but it made me think of this card. This is one of my favorite vintage postcards. 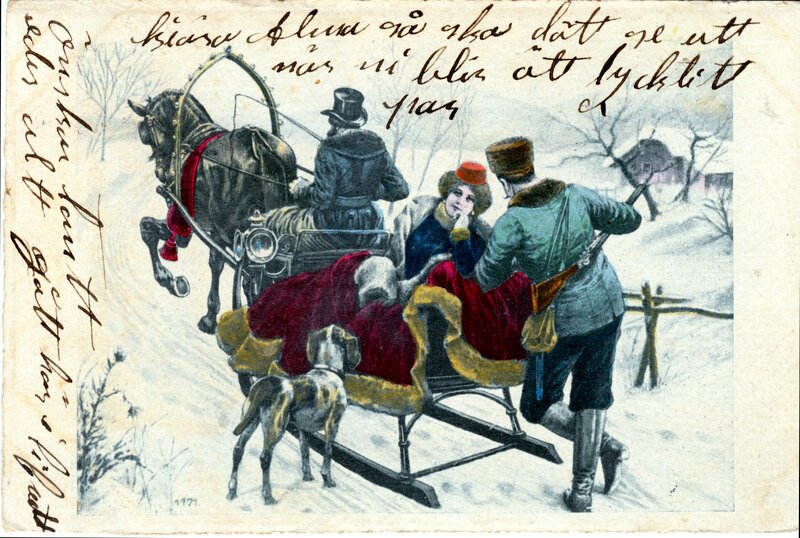 It’s from the early 1900s and the elegance of the woman in the sleigh, the beauty of the hand tinting and even the writing on the front of the card make it just about perfect.